I sure love me some books. After many delightful emails from you curious readers asking me about my favorite reads on nutrition, cooking, healthy living and the like, I have finally decided to begin a library catalogue! For now, it’s a relatively small collection of my favorites, which I know will grow with time and your suggestions. Please send me your favorite titles too – I am always hungry for new material. Together we can create a space with the best and most honest health resources out there! You will find the My New Roots Library link in the sidebar under my profile picture. 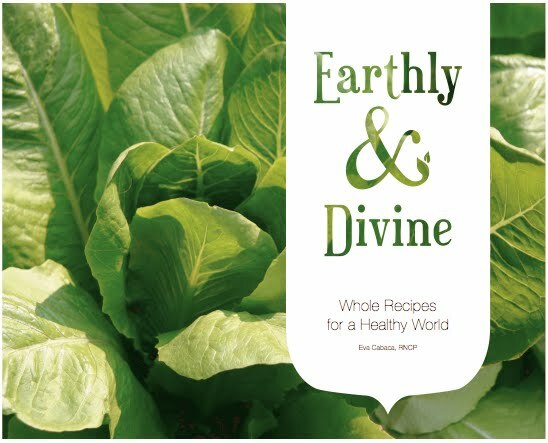 The other very exciting piece of news I want to share is that the incredible cookbook, Earthly and Divine, written by my friend and colleague, Eva Cabaca, (and designed by yours truly) is finally in print and available for purchase! It was truly an honor to be a part of such an inspiring project – this book is the lifework of someone so dedicated to holistic health and wellness, it blows my mind! Her recipes and methods are sincerely on another plane of consciousness, in addition to her in-depth nutritional knowledge, thought-provoking insights on health, and pure, vibrant love! Eva has had a profound influence on me and the way I look at food and cooking, inspiring me to always strive for greatness in my own kitchen. I know that Earthly and Divine will do the same for everyone who reads it. Of course, you can find it in the Library. And Eva has generously put a download-able PDF preview on her site – follow this link! I hope that you all find the books and films in the My New Roots Library both informative and inspiring, as you educate yourself on the path to wellness! Hiya Sarah B, Just letting you know that for me there is no link to your library on the sidebar beneath your picture, i cant seem to find it, please help!! YAY! You will not be disappointed, I promise. This looks like a fantastic book! Are any of the recipes vegan-friendly? so glad i found you! congratulations on the new book. i’ll be checking it out for sure. it is so lovely to come across like minded people in the cupcake blog world! One of my favourite cookbooks – The Ayurvedic Cookbook by Amadea Morningstar. Thanks for sharing your collection! I have several of those as well 🙂 Happy weekend to you, Sarah! A million thanks for the link Sarah! Thanks for all of your suggestions so far. In fact, I think I will make a section in the Library for readers’ recommendations. Groovy! thank you for sharing such a great reading list! i am inspired to take my food and health addiction off of the internet and back to books. What a great idea, I love libraries! Thank you so much for all your inspiring posts and recipes, they are truly wonderful and a big source of inspiration. I like the design of “Earthly & Divine” a lot, so suitable for such a nice book. May I ask what font you’re using on the cover? I’ve been looking for good fonts in that style. Love Soup by Anna Thomas is one of my favorite cookbooks…truely inspiring. Thanks for your list! I can’t wait to read a few of these. I just LOVE how it feels to crack open a new cookbook. It’s what I plan to do tonight, actually, under the covers with a cup of tea. I love this idea… thanks for sharing your inspiration and for providing so much of it! Wow – your book list is very inspiring. Sadly, my library doesn’t carry many of the books so I will have to figure out how to peruse them another way. Since you asked, one of my recent favourite cookbooks is Radiant Health, Inner Wealth by Tess Challis.